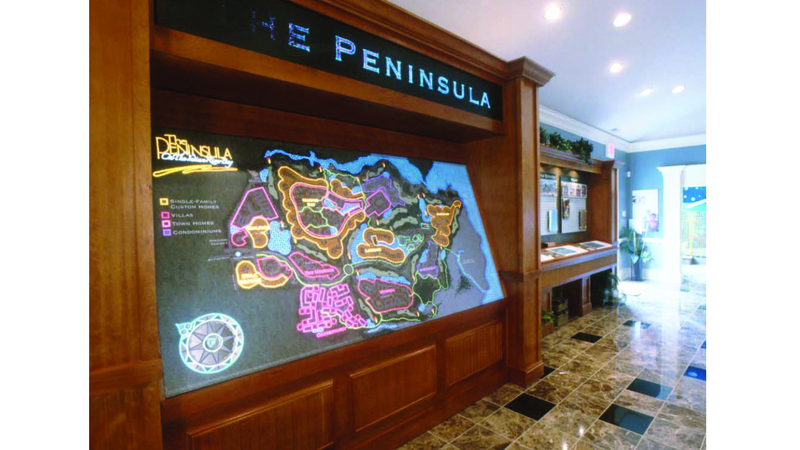 The Peninsula Discovery Center - Marketing Specifics, Inc.
For the Peninsula, creating a powerful and memorable sales environment experience to luxury resort homebuyers was our goal. 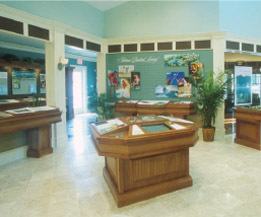 The Discovery Center was designed based on creating numerous sensory experiences; from the inclusion of a theater with a virtual presentation, fiber-optic site plan and interactive kiosks. 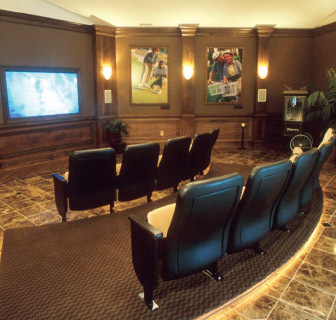 The kiosks housed virtual fly-overs of the course and showcased the number and location of the various community amenities, which was a large element of fulfilling the vision. With the grand opening of the Discovery Center, The Peninsula had an extremely successful first year in sales and the target buyer gained a sense of what the community had to offer before construction had even begun.